If your idea of a holiday is a blend of history and modern life, then take a Golden Triangle Tour with Us. We are offering an expedition to the exciting cities of Delhi, Agra and Jaipur. During the Golden Triangle Tour, you will get to visit many reminiscences of the past, set against the backdrop of a thriving urban culture. This journey through heritage and a blend of cultures will surely leave a lasting impact on your memory. 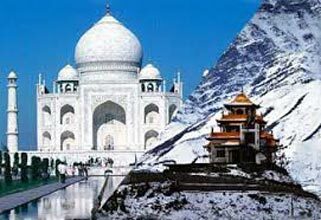 The Golden Triangle Tours, offered by us, have comfortable facilities of travelling and accommodation throughout.